at the Los Gatos High School Gymnasium. If you know someone who is not on this distribution list, please forward the information to them as well. If you have any additional questions, please feel free to contact me at this email address. I am sure that you have heard about Rick Milam by now. He passed on at 8:30pm Monday night, August 23, 2010.
meetings, keeping in contact with everyone, and still helping people all over. We have not yet set the services for Rick. email list to confirm this. I am getting calls, emails on when it is, so I will follow up with everyone to confirm that this will be the date. 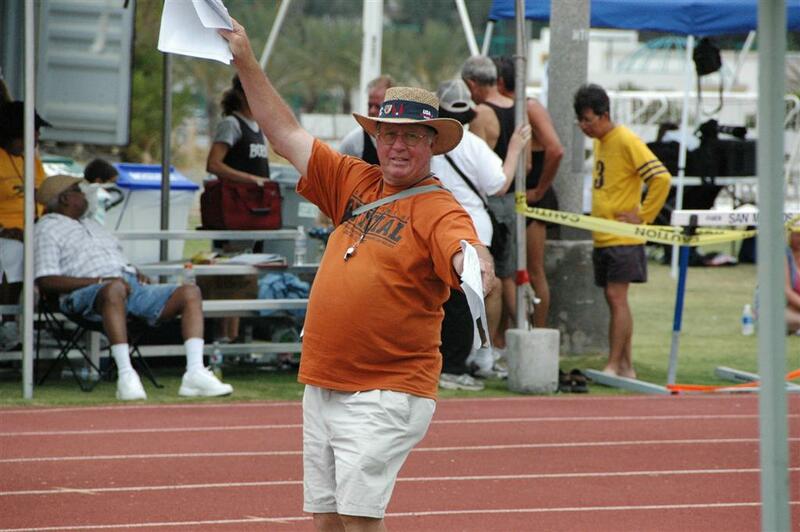 Championships, was the meet director of the World Senior Games, all being the finest USATF official. always told Rick and I, that the CCS Top 8 Track Classic was the best meet in the section. He was very proud of all this. School Dual meets every year, the West Valley Relays every year, League Finals every year, the CCS Finals every year, etc. J.R., Monica Townsend, Marty Krulee, Danny Moon, Jerry Rose, Mike Buncic, Bruce Olgivie, Mark McConnel, to name just a few. Gatos at Crystal Springs confirms his philosophy worked, which I keep a secret. I always told him that he was a big part of those championships! over 47 feet at the same time. He always had great pole vaulters, hurdlers, and winning teams at Homestead back then. will miss his friendship everyday. Whenever we all will be at the Los Gatos High School track from now on, he will be in our hearts, our minds, and our spirit. Thank you Rick, for everything! You were one special guy!